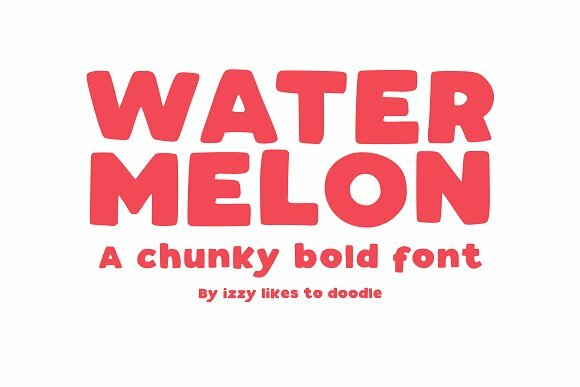 Watermelon is a chunky bold typeface perfect for any fun quirky design work! This font can be used for anything such as t-shirt designs, phone cases, greeting cards, invitations, mugs and so much more! Get creative!